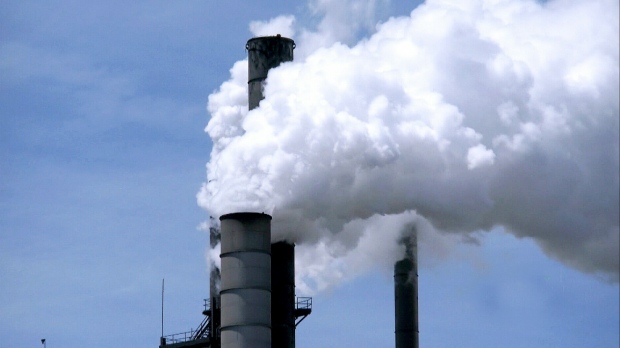 Indigenous groups: Alberta's Athabasca Chipewyan First Nation says a federal carbon tax is constitutionally necessary because climate change has an impact on the treaty rights of northern Indigenous peoples. The Assembly of First Nations says regulating carbon emissions is a national concern and Ottawa is "constitutionally bound" to mitigate the effects of climate change for First Nations people and their territories. Attorney generals of Ontario and New Brunswick: They argue the federal government is upsetting the balance of power between Ottawa and the provinces. They believe the federal government doesn't meet the criteria needed to act under the authority of a "national concern" by imposing a carbon tax. United Conservative Party of Alberta: Alberta's official Opposition says if the court agrees with Ottawa that greenhouse gas emissions are a national concern, the federal government's jurisdiction will expand and leave Alberta unable to develop its own programs. Attorney general of British Columbia: The province already charges a carbon price. B.C. argues it already suffers from the effects of climate change and the province's industries could be at a competitive disadvantage without a national carbon price. It says its cement industry has already been affected. Canada's Ecofiscal Commission and the David Suzuki Foundation: They say reducing carbon emissions are a national concern that requires immediate action. "If it is not a matter of national concern, it is difficult to imagine what kind of transboundary pollution problem ever would be," says a factum filed by the commission. Environmentalists: A coalition of environmental groups cites international commitments made by Canada to cut emissions. It also argues Ottawa's actions are constitutional because Canada is obliged to uphold the "right to life, liberty and security of the person" under the Charter of Rights and Freedoms. Canadian Taxpayers Federation: The non-profit group advocates for low taxes and says a carbon tax is ineffective at reducing emissions, threatens energy affordability and violates the principle of "no taxation without representation." Agricultural Producers Association of Saskatchewan: The group's president says farmers will be unable to recoup the costs created by a carbon tax. Todd Lewis says the provincial government better recognizes the efforts farmers have already made to reduce their carbon footprint.